Bullion Exchanges is pleased to present the limited edition 2018 1 oz Tuvalu Deadpool Marvel Series Silver PCGS MS 70 FS. This Deadpool Marvel Series coin is part of the Marvel Bullion collection and minted by the Australian Perth Mint, known for its high quality, and will be limited to only 50,000 made worldwide. Each coin comes in a denomination of $1 and comes inside a PCGS holder with First Strike label. PCGS grades this exceptional coin as an MS 70 - which certifies it as perfect. The First Strike designation guarantees that this coin was graded within the first 30 days of its issue by PCGS. Numismatics and collectors alike will want to take advantage of this limited offer as these Deadpool coins are expected to go fast. This bullion series features different Marvel characters including Thor, Spiderman, and Black Panther. Following the Silver Spiderman Tuvalu Bullion coin, this coin series is indeed one of a kind. 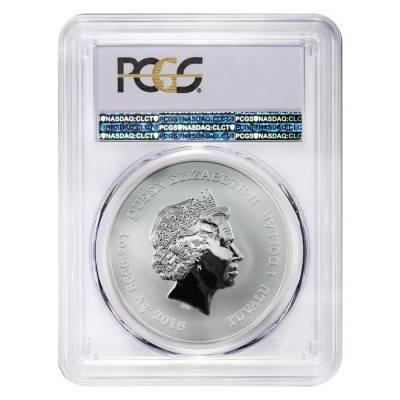 The obverse features an Ian Rand Broadley design of Queen Elizabeth II and states the .9999-coin purity as well as the legal tender denomination of $1 from Tuvalu. The reverse depicts the famous Deadpool, a character in the American Marvel Comic series and 2016 Deadpool movie. 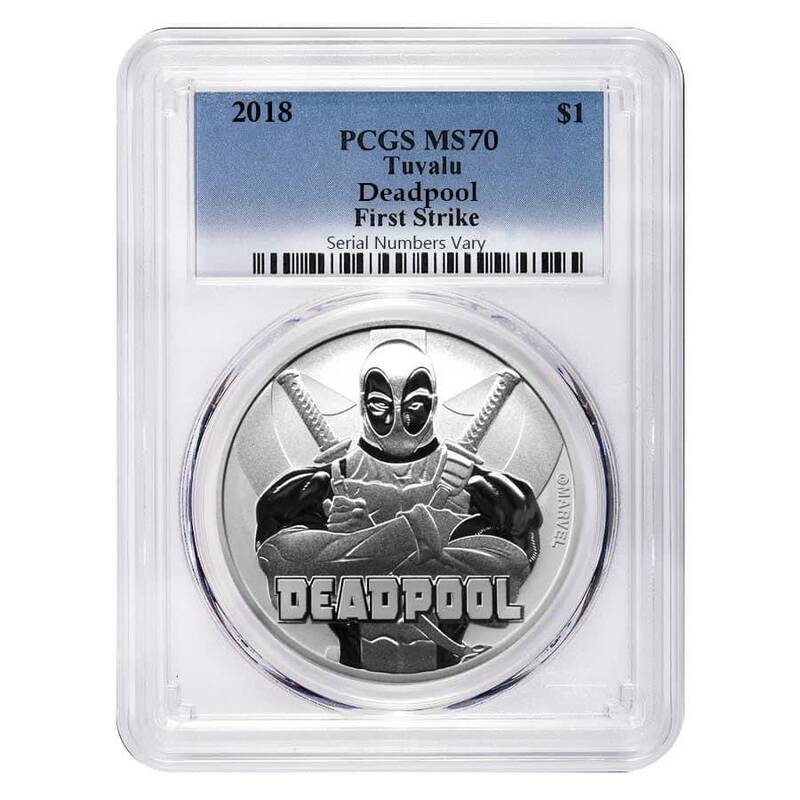 Bullion Exchanges is excited to offer you the edition 2018 1 oz Tuvalu Deadpool Marvel Series Silver PCGS MS 70 FS. Add this coin to your collection or investment portfolio today before it’s sold out. We will package and ship to you with the highest of care. If you have any questions about any of our products, including this silver coin, reach out to us via chat or send an email to customerservice@bullionexchanges.com. Our friendly and knowledgeable associates are standing by to assist you. With this purchase, you earn 75 Bullionaire Bucks 75 BB = $0.08. For every $1 spend, you will earn 1 Bullionaire Buck which is equivalent to $0.001 off a future purchase. 75 BB = $0.08.